noun. a water activity involving a long slender boat maneuvered by paddling with oars. This past Saturday Keith and I decided to spend some quality time with the kids that would create a lifelong “memory.” After a little discussion of what activity to do, we headed towards a nearby state park that featured a river as its main attraction. There was much fun to be had on this river and a plethora of activities awaited our simple choice: we decided on canoeing. 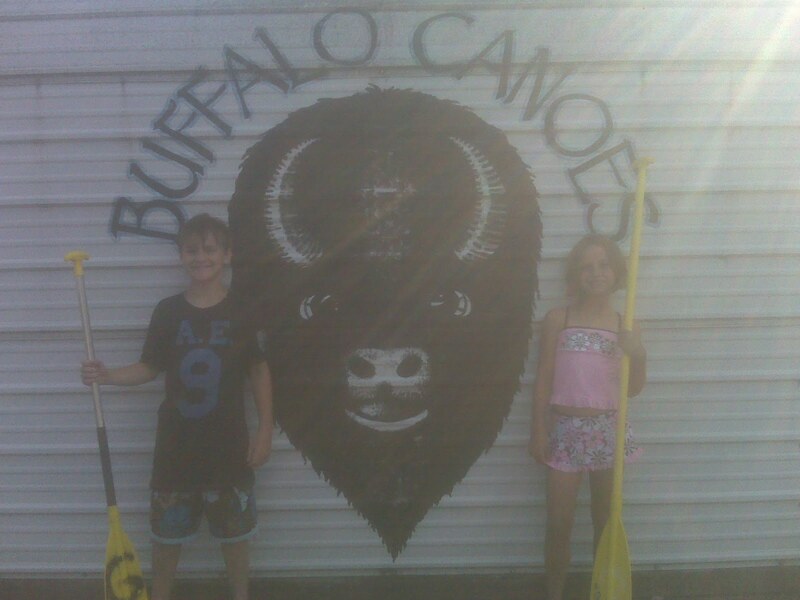 We had never enjoyed a diversion such as canoeing (at least as a family), so it appealed to our adventurous spirit. We all agreed canoeing would be FUN. However, by the end of the day we had spent a great quantity of time together on the river but I’m not so sure that the quality went very high on the Family Fun-O-Meter; the only memories that will linger from this trip are the lessons learned about canoeing. Lesson #1: Be sure to check the river’s water level before heading out for a 4 hour trip. Note to Novices: If the water is low, your canoe will move slowly and often require you to exit the boat, drag it over rocks to a deeper section, and gracefully (Ha!) re-enter the boat. Lesson #3: A fresh pedicure will be ruined if you don’t learn from lesson #2. Note to Novices: While your chasing your flip flop down-river, you will slip, slide, and stub your toe on a rock (or rocks) and it will chip your polish or your toenail and then have the audacity to not even apologize! Lesson #5: There is no need for towels or extra clothing in the boat unless you plan on soaking up the water in the bottom of the boat. Note to Novices: It’s easier to wring out water-soaked towels with 2 people OR you could just leave those towels and clothes in the vehicle and they’ll stay dry and provide comfort once the ordeal family bonding time is over. Lesson #6: A Styrofoam cooler is not sturdy enough to survive the rigors of canoeing, especially if you accidentally sit on it at the beginning of the trip. Note to Novices: Invest in an Igloo cooler before you head out, and when you get parched, you’ll actually have a cold beverage to quench your thirst. Lesson #7: Anyone sharing a canoe must take a full dosage of a chill pill before setting out on the trip. (Those of you born after 1985 might not get that but think Zanex or Prosac.) Note to Novice: If you’ve recently prayed for God to give you more patience, do NOT– I REPEAT– DO NOT, go canoeing! Lesson #8: You will recognize the trip’s halfway mark and no you have not passed it even though you’ve been on the river for a good 10 hours for a 4 hour trip. Note to Novice: You will think that you’ve passed the halfway marker on several occasions but you didn’t — it’s just your mind is doing some wishful thinking. Lesson #9: The ride home is likely to be more enjoyable than the canoe trip altogether. Note to Novice: You WILL reach the canoe exit site. The drive home will be pleasurable and full of laughter simply because the stress of canoeing is over and everyone can begin to have fun. Hope those tips help in some small way. I’m sure that I’ll go canoeing again, ( I am moving to the Amazon River Basin) but at least I’ll be more prepared. My boat will be loaded with an Igloo full of chilled bottled water, towels and dry clothes will wait safely back in the vehicle, two canoes will be rented, and I won’t forget to take my chill pills! This entry was posted in Uncategorized on June 24, 2010 by aliciachall28. That's so funny, Alicia! I know y'all had tons of laughs. Sounds like the last canoe trip with GoGo. Patients was not a virtue on that trip. However, it did create some lasting funny stories and memories.